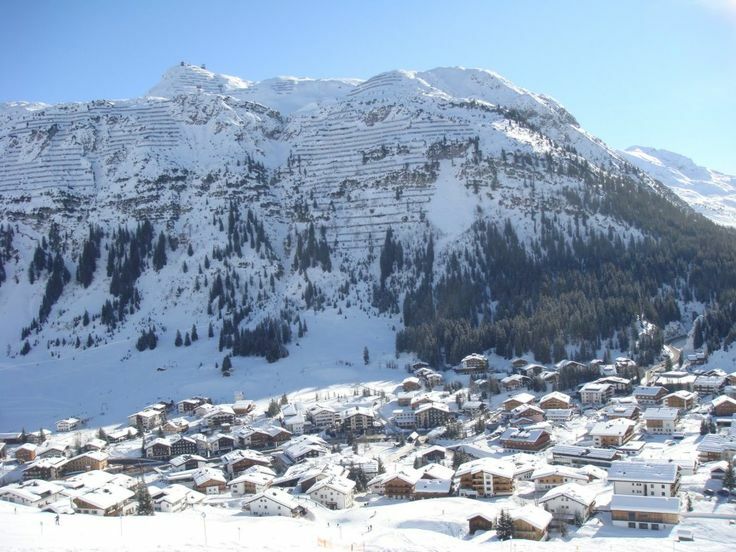 Skiers and boarders have woken up to the fact that Lech-Zürs am Arlberg is the snowiest A-list resort in the Alps. Zürs gets close to ten metres on average every winter season -double the average of Val d’Isere-, and Lech manages a still-impressive seven metres. Is Lech-Zürs the Eldorado of deep powder? 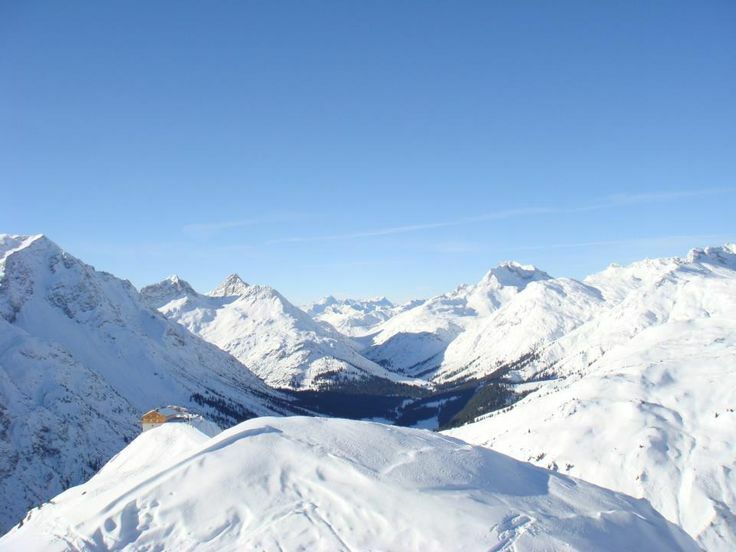 The Arlberg Ski Area is famous around the world as a destination for serious skiers, and Lech is a key part of it. Lech-Zürs is an excellent place for beginners and intermediates with perfectly maintained slopes to flatter the egos of the discerning guests who ski here. In terms of pisted terrain, it is not particularly a top-destination for experts. However, the opposite is true for opportunities in un-tracked free-nature skiing! Beginners are well catered for with wide, perfectly groomed pistes and world-class ski-tuition. The Flühen lift, situated near the church in Lech, leads up to the gentle slopes where the ski schools operate. More confident skiers can explore the easy blues at Oberlech. Both sectors provide scenic routes in-between patches of lovely forest which also makes it a good shelter on days with poor visibility. Although Lech and Zürs cover all the levels, prepared runs favor the intermediates on up. Lech and Zürs has the best of the Arlberg’s intermediate level skiing, with well over 50 percent of the slopes suited to all types of progressive skier. The Madloch side of the valley has six long intermediate runs. Countless opportunities open up via the central Schlegelkopf or Schlosskopf lifts. From the other side of Lech centre you can access the slopes of Zürs via the Rufikopf lift. The more challenging runs are to be found at the Zürs end of the area, on the Kriegerhorn and Zuger Hochlicht. There are varied rapid reds on the White Ring circuit from Madlochjoch down to Zug. Other favourites include runs from the top-station of the Steinmahderbahn in Lech. 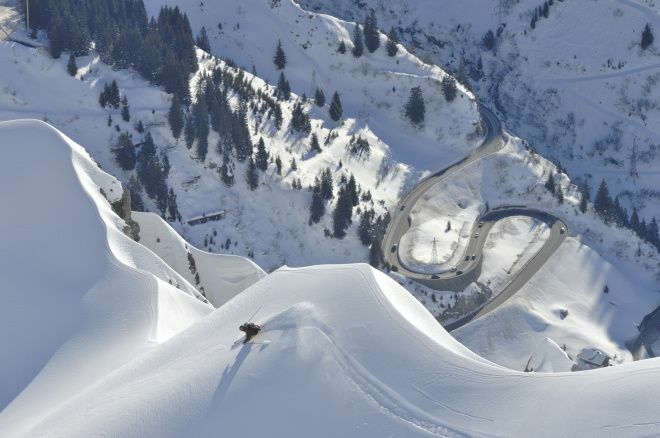 While there may be few really challenging black-rated patrolled runs -as opposed to neighbouring Sankt Anton-, there is a wide selection in very tempting off-piste itineraries that are among the best in all Europe. Advanced skiers and snowboarders are in paradise at Lech and Zürs. They can access well over 180 kilometres of challenging off piste terrain. The best thing: you won’t encounter the crowds like for instance in Sankt Anton, Alpe d’Huez or Chamonix. Don’t be fooled into thinking Sankt Anton is your main option in the Arlberg region for free-nature skiing. Lech-Zürs is where you’ll find some of the best off-piste skiing in the Alps. In particular the mountains at Zürs are mainly devoid of trees which has the advantage of being able to access more terrain. Many of the best runs in Lech start from the top of the fast Steinmähder chair, which finishes just below Zuger Hochlicht (2377m). 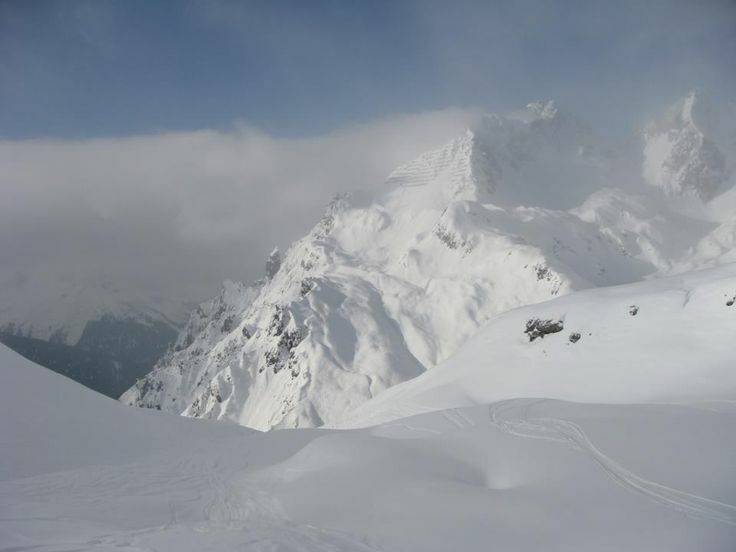 Some routes involve a short climb to access bowls of untracked powder. From the nearby Kriegerhorn there are shorter off-piste runs down towards Lech and a very scenic long ski route down to Zug. Most runs, however, are south- or west-facing and can suffer from sun. Rüfikopf, on the opposite side of Lech, is famous for it’s steep slopes. Take the large cable car to the Rüfikopf and then a 30 minutes hike to the Rüfispitze. In Zürs you will find the the Steirloch, Madloch steep slope, the Stierfall or the Trittkopf. The Steirloch is lovely option from the top of the Madloch-Joch chair, which starts with a narrow couloir and eventually descends into the charming Zug village. Another example is the Flexenmulde from the top of the Trittkopf bahn at 2423m, with a traverse towards the Rauz slopes. There are lots of steep couloirs in this area, and descents down into Stuben from where you can connect to the Sankt Anton sector. The Zurs Gams route off the top of the Muggengrat chairlift provides lots of challenging routes. The entry is narrow and steep, but beyond there are plenty of downhill options. The route ends up near the tunnel between Lech and Zürs and you have to get a bus back to a chairlift. At the end of the season, when the snow is deep and settled, the off-piste off the shoulder of the Wöstertäli from the top of the Rüfikopf cable car down to Lech can be superb, as can Zuger Hochlicht. 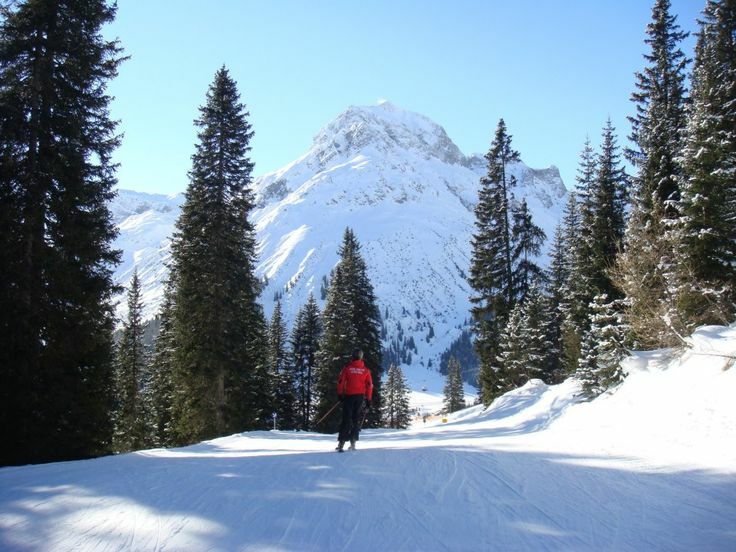 The tourist board of Lech-Zurs and the ski schools actively promote responsible free-nature skiing. If you like to do some serious off-piste skiing please inform yourself of the current snowcondition and weather. Moreover, always use a helmet and rescue backpack which includes an airbag and an avalanche beeper. The ski schools can assist you with the hiring of a guide. Lech-Zürs is the snowiest major ski area in the Alps with the sort of annual average snowfall to rival the North Americas top-rated skiresorts. It appears to have it’s own special micro-climate that sees it receiving nearly double what nearby Sankt Anton gets. Powder is pretty much guaranteed from the end of November until the end of April, even at lower altitude. The ski area has a long season by Austrian standards. Skiweather.eu ranks Lech-Zürs 10/10 based on snow reliability and skiing conditions (historical snow data).